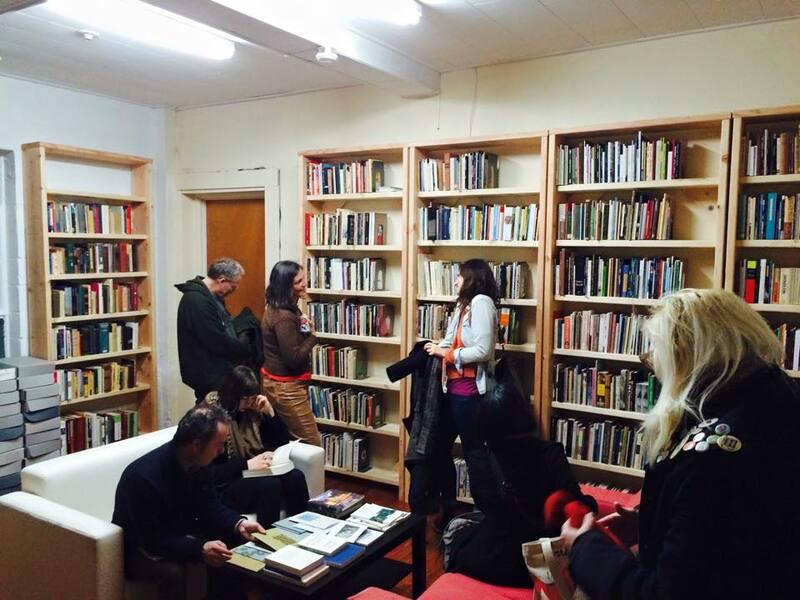 Fundraiser by Christophe Duh Casamassima : Save The Poetry Library! Julie Fisher, current Director of LitMore, and I met last week to discuss the future of our endeavors and the fate of the poetry library. We came to a very wise and necessary decision: LitMore will be leaving its current space and the lease will not be renewed, neither by LitMore or the library. As of January 1, 2016, LitMore will be regarded as a nomadic literary organization, which means programming will continue, but in various locations. This means the library will also be leaving its current location, and for the time being, it will remain in limbo unless we find a viable educational or cultural partner. Because of the immediacy of this progress, it might be necessary to move the collection to a storage facility until a viable space or partner has been located. But we remain optimistic: a number of local educational and cultural institutions are currently examining the feasibility of the collection in regards to their own curricula and objectives. This doesn't guarantee a definite partnership, but it does mean that important people know the value of the collection, and because they have made great strides to focus upon community outreach, our common goals will prove the longevity of the library. I have to re-focus the objective of this campaign because the benefits were specific to LitMore. Now that the library and the organization are parting ways, I will only host the fundraiser for one more month. Any donations will help with the re-location and possible short-term storage. I will end the fundraiser on Thursday, October 15. Thank you, again, for supporting our growing library. We know that the next phase will be all the more exciting and prosperous. On December 31, 2015, LitMore will face two possibilities: renewal of the annual lease, and continuation of its exciting educational programming, or the closing of its doors—for good. To ensure LitMore’s continuing legacy as a community-driven educational and professional development center, we’re campaigning to raise $20,000 by year’s end. This amount will cover rent, estimated utilities, supplies, library upkeep, and stipends for workshop leaders. Most importantly, though, it gives LitMore breathing room to focus on long-term strategies and partnerships so that we can continue serving you. In the past, for example, we have worked with the Enoch Pratt Waverly Branch Library for the Cruellest Month Poetry & Performance Festival; worked with Waverly Main Street business and organizations to host a Poem Walk during National Poetry Month; partnered with The Village Learning Place and the LINK after-school program for a writing and publishing seminar for young adults; and worked with MakeStudios, which brought together local writers and amateur artists for a celebration of Alice in Wonderland. 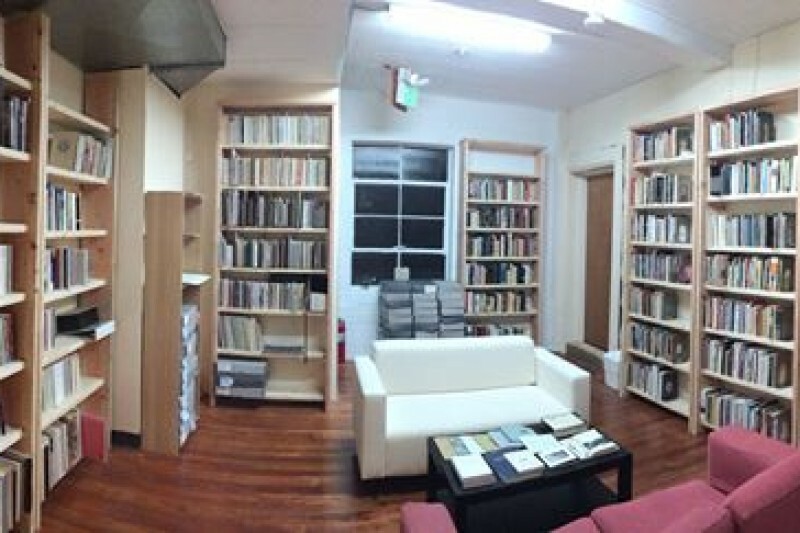 Finally, LitMore houses the largest exclusive collection of poetry titles in the region, a large portion of which are Baltimore-related and historically important documents found nowhere else. With solid financial footing, your donation will guarantee our long-term success. Because LitMore is not funded by corporate sponsors or grant programs, it relies almost solely on memberships, programming and community donors. In other words, our donors are the communities we serve and sponsor. And we are asking you, our neighbors and future partners, to step up to the challenge of keeping LitMore open for many more years to come. To be frank for a moment, our fundraiser is what you might consider a “Do or Die” campaign. Unless we reach our total institutional budget of $20,000, we cannot remain open to the community. Our main objective is to absolutely guarantee a central location that houses a variety of writers, resources, and opportunities for anyone interested in the literary arts—with no questions asked and no exceptions. Without a center, the countless relationships we’ve fostered over three years of service will be left to uncertainty. With your tax-deductible donation, you are safeguarding the longevity of our common dream: to serve the public with recurring free or low-cost educational programming. There are a variety of options for you as well, and all come with rewards and benefits. I urge you, on behalf of our members, patrons and the communities we represent, to help us make it to 2016 and beyond. It is with a heavy heart that I make this announcement, one that I never dreamed possible in my time with the LitMore Small Press Poetry Library. Please read and share and, if possible, lend your ideas, support and collaboration. We urgently need it. LitMore will be folding as of December 31, 2015. There is no other way to say it. Julie Fisher and Barbara Morrison have been working relentlessly with the writing communities of Baltimore for three years, but even with back-breaking work and endless days in the office and in the community, support for LitMore has waned to almost nil. As they've told me, without memberships, without workshop or event attendance, and without monetary support from patrons, grants and endowments, which are so difficult for a fledgling organization to receive, it has become virtually impossible to keep the organization afloat without incurring a heavy psychical and emotional toll on the ones who run LitMore by the sweat of their brow and skin of their teeth. As for the library, the 4500 poetry titles, and a huge archive of Baltimore-related artifacts, it is our only home. But now that we are leaving the building, it will be yet another endeavor for us to keep afloat elsewhere, perhaps partner with another organization. We do not currently have the resources to go solo, nor is there the consistent humanpower behind it except for me and a handful of volunteers with careers of their own, and so we may have to dissolve the library, and its future plans, for an indeterminate amount of time. Perhaps forever. As my colleagues from publishing and writing have said, if the community doesn't fight for it, the community doesn't need it. I hate to say it, and I hate to accuse anyone of lack of interest: I know each and every one of you have your own trials and tribulations and time constraints. That's what makes each of us better humans. But I'm begging you, from the bottom of my heart: please do not let another growing, important organization die by the hands of poor funding. I implore you all to act and speak up for LitMore, for the library, and the future of the possibilities we were only just beginning to reckon with. Money is the boss, sadly. But the collective voice and action of the community is God. I ask you only this: act. Imagine 1000 memberships by the end of the year. Thank you for your past support, your loyalty, and your hand in making this the best literary organization in Baltimore. I am glad to work for you, and look forward to working for you until the day I die. Thank you for your continuing support and generosity. I hope this is litmore page...it's confusing because there only pictures of the library which is not even the best part of all litmore does. The events super cool vintage clothing and quiet space that are avalible. Anyway so glad that julie fisher has worked so hard on such a great and valuable place.